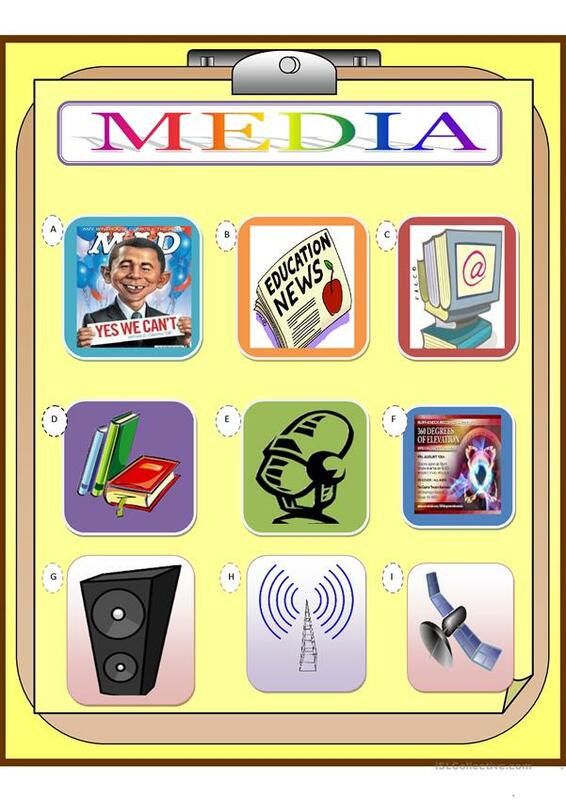 Media - flahscard to motivate ss. matching exercise. key included. The above printable, downloadable handout is a great resource for business/professional students, high school students and adults at Pre-intermediate (A2), Intermediate (B1), Upper-intermediate (B2), Advanced (C1) and Proficient (C2) level. 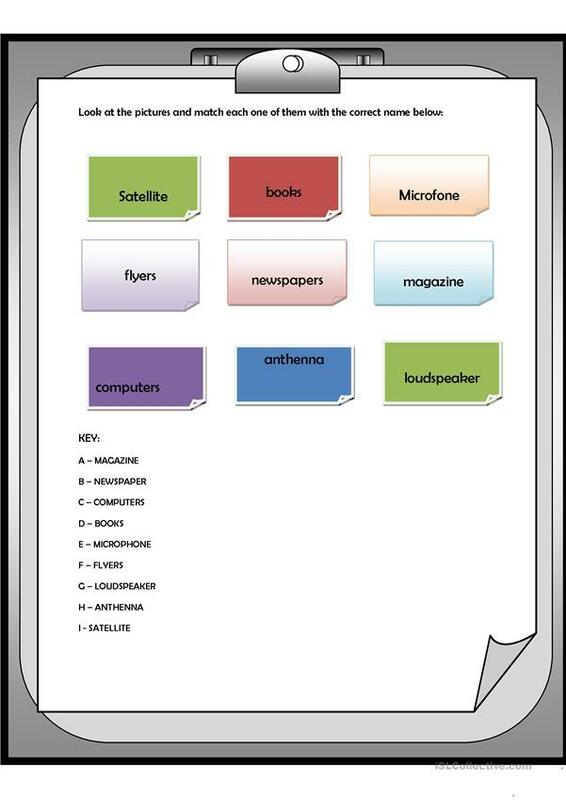 It is excellent for working on your class' Listening, Spelling, Speaking, Reading and Writing skills. The answer key is provided, too.